Official Site of Michelle Singletary. Finance advice and financial help from the nationally syndicated columnist. Author & Award Winning Nationally Syndicated Columnist for The Washington Post. Michelle writes the nationally syndicated personal finance column, “The Color ofMoney,” which appears in The Washington Post on Wednesday and Sunday. 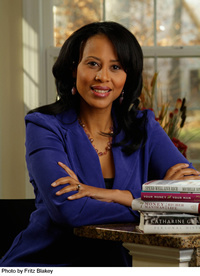 Her award-winning column is syndicated by The Washington Post Writer’s Group and is carried in dozens of newspapers. Click here to read her columns or subscribe to her weekly newsletter. These columns may help with making the decision on where to go to college. Soon a rising junior at the University of Maryland, Michelle Singletary’s daughter writes about her path to the right college. As you and your child are discussing and/or fretting over which college to choose, perhaps it will help to walk you through the points we made to our daughter to discourage her from ignoring the affordability issue. Michelle Singletary Talks About Speaking at Pursuit 2015. Pursuit 2015 is a conference for unmarried young adults being held July 9 – 11 in Colorado Springs, Colo. on the Focus on the Family campus. Click the link to register. Boundless.org Blog Post: Five Questions About Finance With Michelle Singletary. Learn about the inspiration behind a financial fast that has helped hundreds find financial freedom. Are you tired of being in debt? Can't figure out where to find money to save? This video introduces a way to put you on the path to prosperity. Once you’ve bought the book, watch the daily videos from Michelle Singletary to help you reach your goal. Meet a couple who took the 21-Day Financial Fast Challenge. See how their views on their finances changed and strengthen their marriage. I encourage you during the fast to tweet or post your progress on Twitter or Facebook or other social media outlets. Be sure to use the hashtag #FinancialFast. Encourage your friends and family to do the fast with you. I want this to feel like a community. We can all be each others accountability partners. What’s the #FinancialFast? Listen to the explanation from @TJMShow Money Monday segment HERE. In 2014, The Deseret News identified six men and women who are making an impact in various areas. 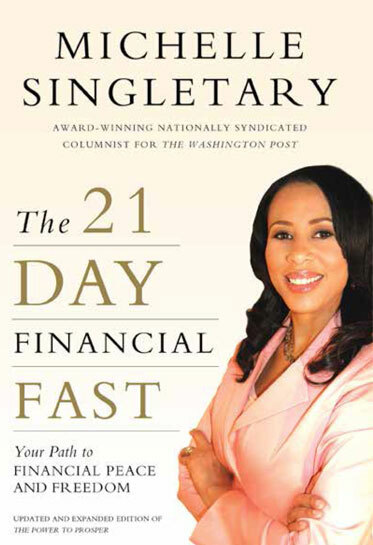 Michelle Singletary was their hero in the arena of personal finance. Read the profile of why she was selected. 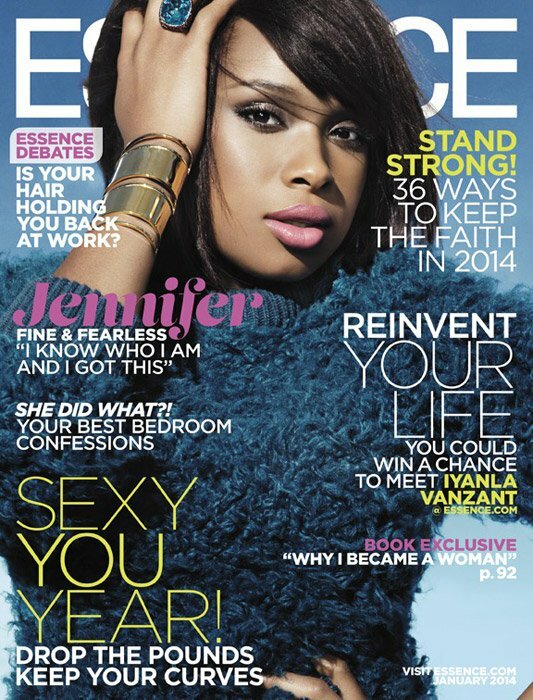 Michelle's Book “The 21 Day Financial Fast” was featured in the 2014 edition of ESSENCE Magazine. The magazine profiled three women who went through the 21-day financial fast. For three weeks they curtained any unnecessary shopping and put away their credit cards. The women were given a copy of “The 21 Day Financial Fast: Your Path to Financial Peace and Freedom.” The stories of their financial transformation were truly inspirational. Read Michelle's views on giving an allowance to children. From The New York Times, Room for Debate: Teaching the Value of a Dollar. Does an allowance for children create a sense of entitlement, or develop money management skills? You may have seen Michelle on her previous television show "Singletary Says." Check out a clip from the show here. “The Revolution” was an ABC program that showcased how to improve the way you think about your body, health, style, mind and environment to revolutionize the way you live your life. Michelle was a financial contributor on the daytime talk show that featured a cast of experts that included style guru Tim Gunn, design expert Ty Pennington, celebrity trainer Harley Pasternak, therapist Dr. Tiffanie Davis, and OB-GYN Dr. Jennifer Ashton. Click here to watch a segment from one of her previous appearances. Watch Michelle at work in her Money Court. - Michelle was the keynote speaker for the “Money Matters" investor education conference in Pittsburgh in 2013. - Michelle was a guest speaker at Philander Smith College as part of the Bless The Mic Lecture Series. Watch an interview with her from the event. In “Spend Well, Live Rich with Michelle Singletary”she outlines her seven “Money Mantras” to help you “live rich” for therest of your life. If you’re good with money, Michelle encourages you topass these mantras on to your children so they can lead more successfulfinancial lives. Michelle Singletary and other financially savvy mentors help those fighting the uphill battle against debt and financial hardships. Hosted at the First Baptist Church of Glenarden in Maryland, Michelle’s once-a-month, three-hour workshops cover everything from developing a budget, cleaning up your credit, getting out of debt, and managing your family’s money with your spouse. Visit Prosperity Partners for more information and consider attending one of Michelle’s workshops. Take the first steps toward a brighter financial future with Michelle and Prosperity Partners. In an expanded update of “The Power to Prosper,” you will put away your credit cards and buy only the barest essentials. Thousands of individuals have participated in the fast and as a result have gotten out of debt and become better managers of their money and finances. The 21-Day Financial Fast is great for earners at any income-level or stage of life, whether you are living paycheck-to-paycheck or just trying to make smarter financial choices. - Listen to Michelle’s interview on the Tom Joyner Morning Show with Roland Martin. - Michelle discussed her work teaching about money management and spending during BET's fourth annual Leading Women Defined summit in Washington, D.C.
- Also listen to Michelle and other summit attendees, including actress Diahann Carroll, musician Ledisi and life coach/psychologist Dr. Michelle Callahan discuss the assets of an empowered woman. - Listen to how she got started writing her award-winning column for The Washington Post and how she learned to manage her money from her grandmother, Big Mama. - Get Michelle’s expert personal finance advice on Tavis Smiley’s PBS website, “Road to Wealth” and read the answers to past personal finance questions in Michelle’s archived weekly column, “Wealth of Knowledge.